The New York Times article that prompted film and TV mogul Harvey Weinstein to hire two celebrity litigators has been published, and it’s as explosive as you might expect. Entitled “Decades Of Sexual Harassment Accusations Against Harvey Weinstein,” the article opens with actress Ashley Judd recalling an incident where Weinstein asked her to his hotel room for a breakfast business meeting, only to ask her if she would watch him shower or give him a massage. It goes on to allege a culture of harassment at Miramax and The Weinstein Co. that goes back three decades, and was reportedly so pervasive that one female employee advised another to wear a parka when meeting with Weinstein to fend off advances. The article describes Weinstein’s alleged modus operandi with actresses, assistants, potential employees, and other women in his orbit; namely, he would invite them to a hotel for a business meeting, then sexually proposition them once they arrived. 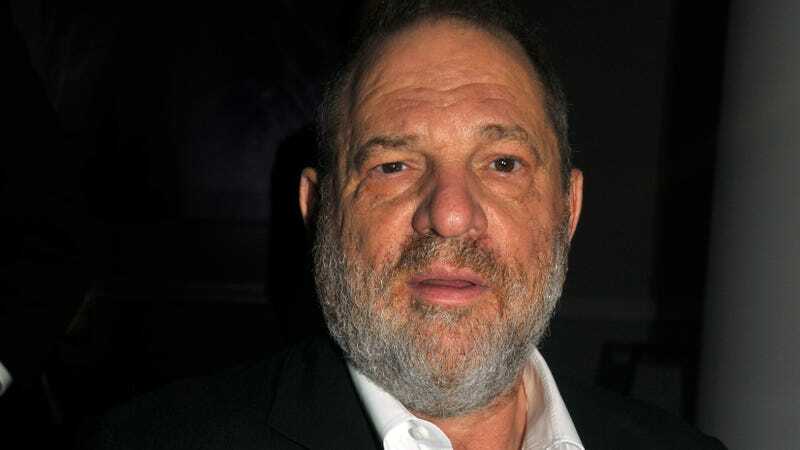 Weinstein would also allegedly appear naked in front of junior employees, make them stay in the room as he bathed, and force them to give him massages while he was naked. “The women, typically in their early or mid-20s and hoping to get a toehold in the film industry, said he could switch course quickly — meetings and clipboards one moment, intimate comments the next,” the article says. Still, a handful of complaints about Weinstein’s behavior have emerged over the years; one, a report by Italian actress Ambra Battilana stating that Weinstein had groped her during a meeting at his office, was investigated by the NYPD’s Special Victims Squad, but no charges were ultimately filed. Another, a memo sent out by executive Lauren O’Connor in 2015, alleged,“there is a toxic environment for women at this company.” O’Connor’s memo reportedly “shocked” Weinstein Co. board members, including Weinstein’s brother Bob; however, they declined to investigate O’Connor’s charges. Weinstein and O’Connor later settled out of court, according to the story. You can read the rest of the article, written by New York Times reporters Jodi Kantor and Megan Twohey, here.